Adam Reece delivers his intent from the very first bar with Chemical Lazy. A sub 30hz punch in the face with hammers on that finds its way to the deepest corners of your brain where it sets up a temporary bar orders the strongest drink and smokes its way through 20 cigarettes. If you like it deep, dark and hard then Adam Reece has just delivered christmas exceptionally early. 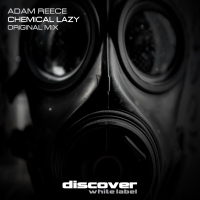 'Chemical Lazy' is available now from Beatport and iTunes.